Myocarditis is an uncommon disorder that is usually caused by viral infections such as coxsackie virus, adenovirus, and echovirus. It may also occur during or after various viral, bacterial, or parasitic infections (such as polio, influenza, or rubella). The condition may also be caused by exposure to chemicals or allergic reactions to certain medications and it can be associated with autoimmune diseases. The heart muscle becomes inflamed and weakened. This causes symptoms of heart failure. I have an MRI scheduled for the 10th which should be fun since it's non-invasive and doesn’t require me to do anything but just lay there. 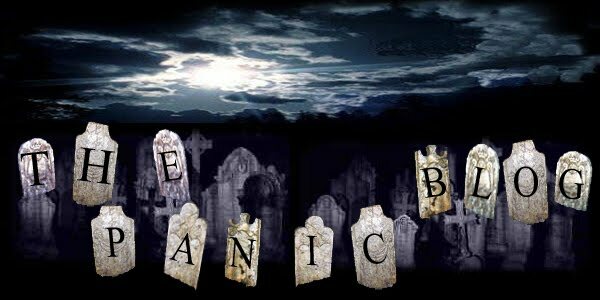 They put me on beta-blockers to help repair any damage caused due the inflammation and the first one they tried caused the full body hives. They are finally going away but slowly. I'm feeling a little like Job right about now. I just got home from a two night stay at the hospital. Cut to the important part: I'm fine. I'm still a little sickly but I'll be better soon. 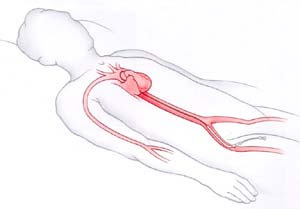 Did you know that the patient is awake during a heart catheterization and gets to see the video of their blood vessels and stuff? I didn't know until it happened to me. It's pretty cool technology: they punch a hole in an artery in your groin and then guide a variety of catheters up into your heart where they dye your blood and take x-ray video to look for blockages and narrowing. There are no nerves in your blood vessels so except for the pain from the hole in my groin and the strange sensations involved with manipulating the entry site itself, it's not unpleasant at all. There is a chance the procedure could actually cause a heart attack which explains why they don't do it to everyone at their checkups. Monday I woke up feeling very nauseated. I fed the dog, called in sick to work, then got all sweaty and sat at the base of the stairs back up to the bedrooms. That's when I lost consciousness. Luckily Kelli was there and found me in just seconds. She called 911. Just a few seconds later I had regained consciousness but the medics came and we went to the hospital. Monday I was in the emergency room from 06:45 to 17:00hrs. They checked heart enzymes to see if I had a heart attack; negative. They did an EKG: no abnormal rhythm. A cardiologist examined my chart and thought to check for a pulmonary embolism. They did a CT scan of my lungs with dye in the blood vessels. No clots. My EKG had a little "smear" on it which a cardiologist wanted to follow up on later but otherwise I was told "You've got a virus, go home and rest." Okay, done. Monday night and most of Tuesday I slept. That's when it got significantly more interesting. My first EKG showed something a little irregular. The did another one and it came back normal. My blood enzymes came back with elevated troponin. That's not good. That's an indicator of heart muscle damage, usually from a heart attack. So they told me I'd likely had a mild heart attack and it was time to do the big tests. The cardiologist called the cath-lab and set me up for the angiography. They found the blood vessels in my heart are fine – no obstructions or constrictions. The cardiologist thinks I had a virus which caused some inflammation to my heart. This accounts for both being sick in the first place and for the release of the enzymes. The enzymes are gone and an echocardiogram showed the heart muscle is moving around just fine. I'm going to follow up and likely get an MRI and probably a stress test just to be sure but I'm feeling much better now. So is my wife and the rest of my family who were pretty worried during the whole deal. I was worried too but also thought "Oh man, that means I'm going to have to post on my blog that I'd had a heart attack at 37. The shame; the shame." My intention is to use this as a nice wake up call and get my health on track. You'll be the judge. Perhaps next year I can be swelling with pride over not being quite such a big fat guy. SYDNEY, Australia (AP) - An Australian wildlife worker pulled a 7-foot python out of a septic tank Wednesday after a plumber found it hiding in a woman's toilet, officials said. Peter Phillips, a wildlife officer for the Northern Territory's Parks and Wildlife Service, was called to remove the snake after a plumber who was fixing the blocked toilet discovered it curled in the pipes. "The ... resident originally called a plumber because her toilet was blocked," Phillips said in a statement released by the Northern Territory government. "I arrived to see a large python head peering out of the toilet bowl." Phillips removed the snake from the septic tank because he said it had grown too big to be pulled straight out of the toilet. The mostly nocturnal Carpet Python had probably taken up temporary residence in the septic tank because it was a good place to hide during the day and hunt for frogs. "The tank was obviously a great home, because the snake was so fat and healthy it was it difficult to retrieve," he said, adding that the nonpoisonous snake will be released. 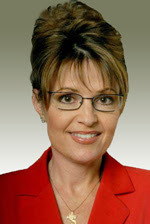 Newly elected governor Sarah "Skinny White Chocolate Latte Gets It All Over Town" Palin (aka "Skinny G") has started the process of cleaning up government in the Great State of Alaska. "How?" you might ask, "with a Dyson?" No, no, you sexist pig. Our first woman governor is using a high-tech method which has nothing to do with suction: eBay. Our previous governor (who we thought too little of to give a nickname – or at least a polite one) bought himself a Westwind II jet with taxpayer money. Okay, technically he bought the state a jet, but taxpayers were outraged. There were several reasons why the jet was a bad idea but by far the biggest was that the people made it clear that they opposed it. Being chief executive, the former (as in former by a humiliating defeat in the primary) governor ignored public opinion and arrogantly bought the jet. I think he also mentioned something about taxpayers eating cake. One of Skinny G's campaign promises was that she would never set foot on the jet. Today she ordered the immediate listing of the jet on eBay (see KTUU story). The State bought it for $2.7 million but it's used now so I'm sure you could get a deal. So let's give Skinny G some credit for fulfilling a promise. And let's hope this trend of listening to public opinion continues, as least with regard to expensive executive perks. Last month, and I mean ALL four weeks of last month, it was sub-zero every day. It was bitter cold and I was just plain bitter. I longed for a couple of warmer days. Today: 30-40 degrees all day. Snowing plus raining plus more snowing plus more raining. Blech! It was nasty outside but Saturdays are always fun because of my crew at work so I had a good time. Not out of control crazy, just relaxed. I was the acting dispatch supervisor and therefore the default media contact for routine events. When the news guy called and asked "what's going on?" I told him "well, there's weather outside and it's causing your usual weather problems: lots of accidents and vehicles in ditches. The nice thing is that there are not a lot of actual crimes going on, y'know it's bad when your getaway car gets stuck in a ditch, ha!" Then… he repeats my words back to me verbatim. Oh crap, I'm talking to a reporter for fox's sake! "Whoa-whoa-whoa-whoa," I manage to backpedal, "perhaps if you are going to quote me you should say something like 'on a bad weather day everyone stays home - even the criminals.'" Let's hope he bought it. I'd really hate to be quoted in the newspaper saying something asinine. Again. Once many moons ago when I was greener and, in stark contrast, watched my words too carefully, I had a short disagreement with a reporter. We were having high winds (60-80mph gusts) and when she called for the police scoop I told her that the wind made things pretty busy because of all the alarm calls. She didn’t understand until I explained that people with motion sensor alarms who left windows partly open or had big vents would inevitably have false alarms when the winds were whipping. She thought this was interesting and wanted to quote me. I unreasonably freaked a little, not wanting to overstep and become some sort of department spokesman, so I told her I didn't want her to quote me. She then said she could page the actual department spokesman on his day off and get him to verify what I had to say and then probably end up quoting me anyway, it was all up to me. Great. I caved. It seemed a silly thing to argue about but I also thought it was a silly thing for her to turn the screws on me about, so I was a little bitter. I expected her to suggest that I claimed to be some sort of police alarm expert. Sure enough, the next day's paper quoted me by name. Yet what it quoted was (paraphrasing slightly) "Dispatch Supervisor Eric said it was windy." Wonderful. Might as well have promoted me to Commander Obvious. Britney Spears without underwear: tacky but not exactly unexpected. No one should really care. It's not like she's your babysitter. Lindsey Lohan is not going to win any literary awards: really, really, really no one should care. If you are looking for role models and end up with anyone who hangs with Paris Hilton, you might as well give up; let wolves raise your kids. Jessica Simpson floundering at the Dolly Parton gig? The girl might not be the sharpest cheese in the chandelier but don't kick her when she's down. That's just mean. Like you never had a bad day at work? Americans are still dying every day in Iraq. Oh and we gave up our rights: both from illegal searches and to bottles of water on airplanes. And that little thing about secret prisons in other countries to skirt the laws against torture, etc. These seem like more pressing issues, no? CHESTERFIELD TOWNSHIP, Mich. (AP) - A man who police say tried to pass a counterfeit check at a Wal-Mart chose the wrong store at the wrong time. Dozens of officers were at the suburban Detroit store Tuesday helping needy children pick out items as part of an annual "Shop with a Cop" charity event. That didn't stop Calvin E. Fluckes Jr., 21, from pulling into the parking lot next to 40 marked squad cars, police said. He apparently was unfazed by the police presence as he tried to pay for merchandise with a poorly photocopied check for $847.83. "He was immediately apprehended," Chesterfield Township police Lt. David Marker told the Detroit Free Press. "I can't even imagine what he was thinking." Fluckes was arraigned Wednesday on one count of uttering and publishing. He was being held in the Macomb County Jail on $2,000 bail. He could face up to 14 years in prison if convicted, The Detroit News reported. "Uttering and Publishing" ?? What great names for charges. It's also a good band name. It Was The Dog, Really! NASHVILLE, Tenn (AP). - It is considered polite to light a match after passing gas. But not while on a plane. "It's humorous in a way, but you feel sorry for the individual, as well," she said. "It's unusual that someone would go to those measures to cover it up." By the way: thank you FBI or Nashville Airport Police or whoever for not releasing the woman's name. That shows some class. "WASHINGTON (AP) — Russia under President Vladimir Putin is a "one-man dictatorship" and he should do more to help the U.S. confront Iran's nuclear ambitions, Sen. Lindsey Graham, R-S.C., said Sunday....."
Alaska was a Russian territory until 1867 when it was sold to the USA for $7.2 million (remember this was 1867 dollars and no one had found our oil yet). 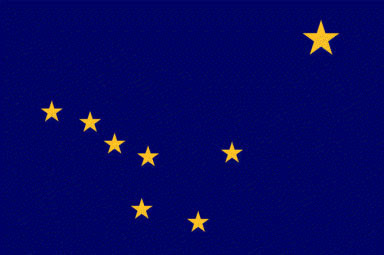 There was, perhaps still is, a man in Juneau (our state capitol) who flew various flags at various times of the year but by far my favorite was his interpretation of the Alaska flag if Russia had not sold Alaska. If Russia hadn't sold us, we'd be FREE now!! Get The Hell Off Of Your Cell Phone ! A hair appointment over the Thanksgiving holiday forces a Newport News woman to seek medical attention. Latosha Grant says she was assaulted by a worker at a Hampton salon after a fight over a cell phone. Scarlette Grant was devastated when her 23-year-old daughter returned home from the hair salon last Friday night with a swollen eye and lip. Instead of a "new do" for her trip back to South Carolina, Latosha Grant received a fractured eye socket, busted lip and numbness to the right side of her face. "This is just unacceptable!," Scarlette Grant said regarding her daughters injuries. Latosha Grant tells Your NewsChannel three that she asked her cousin to schedule her appointment at Ambiance Hair and Nail Gallery on Orcutt Avenue in Hampton. She says an argument sparked over a cell phone call. "The lady who was not doing my hair came up to me and took my phone and walked away and told the person I was talking to, she'll be right with you and put the phone down and I said, excuse me, that's my phone!'" Grant says there was no confrontation at that point, because she left the salon to use an ATM to get cash to pay her stylist. But she says after she returned and paid her stylist, she addressed the woman who took her phone. "On my way out, I said don't ever take my phone from me, cause I pay the bill on this phone. So she got mad and started ranting and raging, words were exchanged." But Grant says it didn't stop there. She says when she left the salon with her cousin, the woman followed her to the parking lot. "She opens the door and she says, 'I just wanted to talk to you' and before I knew it she'd hit me in my mouth and then she pulled me out of the car, I don't know how I got on the ground, but my cousin said she slammed me on the ground." Grant says the woman then punched her in the eye, knocking her glasses off and causing her eye to swell. Now because of her injuries, she can't drive back to her job in South Carolina. Workers at Ambiance declined our request for an on-camera interview. The woman accused would only say Grant hit her first. As for Grant, she's seen the doctor several times and has more appointments scheduled. "They could have asked me nicely, 'Could you please remove the phone?, I'm trying to finish up'. No one ever said that to me!" Grant said. The worker accused of assaulting Grant said she'll tell her side in court. That court date is set for December 20th. Yes, the employee should have started out asking nicely for the client to turn off her phone and stow it. Yet… I believe Ms Manners would suggest that the time to "get all up in the grill" of the employee would have been immediately after the phone was snatched way. Delaying it in order to get one's hair done properly leads to a discussion with the manager later. It should not lead to fisticuffs. And yes, I firmly believe the customer threw the first punch. Call it a hunch.